SOCCERWOMEN: THE ICONS, REBELS, STARS AND TRAILBLAZERS WHO TRANSFORMED THE BEAUTIFUL GAME by Gemma Clarke will be published April 16th 2019 by Bold Type Books. 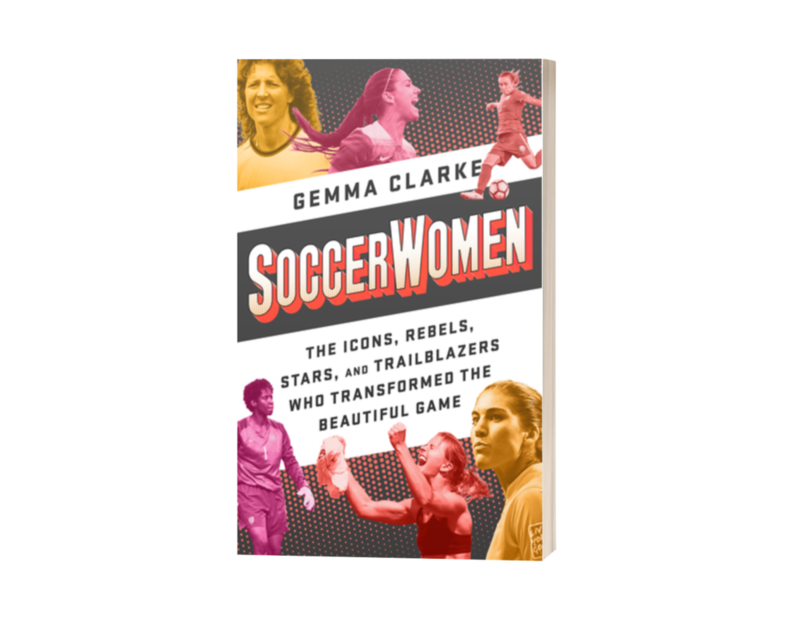 In SOCCERWOMEN: THE ICONS, REBELS, STARS AND TRAILBLAZERS WHO TRANSFORMED THE BEAUTIFUL GAME, Gemma Clarke – a sports journalist who has written about soccer for various European newspapers – profiles various players and coaches of the past, present, and future. All of the women featured have made an impact either within the sport or for women in general or in politics. Clarke gives a brief history of women’s soccer – starting around three hundred years ago when single women competed in soccer games against the married women in an interesting and competitive bid to attract the attention of the local single men. I really learned a lot about women’s soccer in the early 1900s – I had no idea that there was a women’s league in England and across Europe. When read separately, all of the player and coach profiles in SOCCERWOMEN: THE ICONS, REBELS, STARS AND TRAILBLAZERS WHO TRANSFORMED THE BEAUTIFUL GAME interesting and inspirational. When read together, the book seemed to lack cohesion. Some of the profiles read like a biography while other profiles seemed more like stories or newspaper reports. Some of the profiles focused on the player’s or coach’s career and overall contribution to the sport. Other profiles focused on how the player made it to her national team, or on a specific section of her career, or what she has been doing since she retired. Some of the profiles included early biographical information; others did not. Personally, I enjoyed the sections that focused on the women who played on the United States’ Women’s National Team during the 1999 Women’s World Cup. I was eleven years old that summer. I attended two of the World Cup games, and I watched the rest on television. The women on the US team were my heroes. They are still my heroes. Seeing them – and their contributions to women’s soccer – acknowledged is always heartwarming.